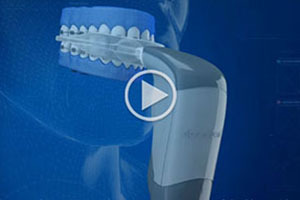 OrthoPulse is a lightweight, self-treatment device to be used by the patient for 10 minutes per day. OrthoPulse can be used with any type of orthodontic mechanics, including brackets/wires and clear aligners such as Invisalign. 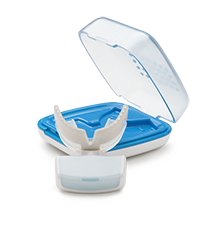 This battery-operated device is made of medical-grade silicone, includes no buttons or wires, and is programmed to communicate with a smartphone app to allow both the patient and the orthodontist to monitor and track device usage, compliance, and treatment progress. The OrthoPulse app is available for iPhone and Android devices. 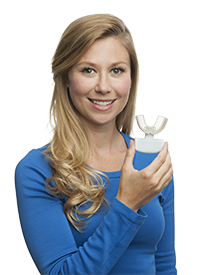 The device uses a process called “photobiomodulation”, or light therapy, to reduce orthodontic treatment time. The device uses low levels of near-infrared light energy to stimulate the area surrounding the roots of teeth [periodontium and alveolar bone]. Reduced orthodontic treatment time helps prevent certain issues associated with braces and orthodontic treatment, including decalcification of teeth and gingival [gum] recession. 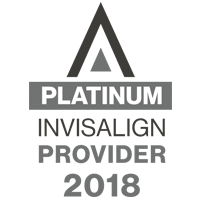 OrthoPulse is the only device cleared by the US FDA for use with both fixed appliances (braces) and aligners (Invisalign). OrthoPulse is scientifically proven, non-invasive, drug-free, and extremely low risk. Treatments are safe, with no known side effects. The device is ready to use out of the box — no fitting, assembly, adjustments or additional setup is required. OrthoPulse comes with a lockable charging case and wireless charging for convenience and ease when traveling. To find out if you are a candidate for accelerated orthodontic treatment in Hagerstown and Frederick, MD using the OrthoPulse device, contact Toothman Orthodontics today. Dr. Ronald Toothman and Dr. Jeffrey Toothman and his exceptional orthodontic staff will meet with you for a free consultation to discuss your treatment options. For more information on OrthoPulse, visit http://www.orthopulse.com or click on one of the links below.